Let’s explain how to estimate distance using only your scope with an everyday example with which we’re all familiar. Fair enough? Suppose you’re captaining a sweet diesel-powered submarine. Before finishing work for the day, your boss wants you to torpedo a Somali pirate ship. Looking out through your periscope, you find that you’re in luck because you see one steaming along off on the horizon. Good news! You get to finish your shift and head back home for a cold one. Not so fast Captain Stubing! Before shouting “Fire 1” over the intercom like a boss, you’ll need to figure out how far away that ship is from your current position. Even the best torpedos don’t get from point A to point B instantaneously, so you need to plan the trajectory. Knowing the class of the pirate ship from your submarine master flashcards, you figure it’s about 800 feet long. 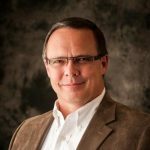 With that knowledge, it’s up to you to figure out the distance to target so you can calculate a firing solution and call it a day. Fortunately, your periscope is outfitted with one of those fancy new milliradian reticles. In fact, milliradian reticles were inventoried for exactly this type of thing, whether on land or sea. In early World War 1, artillery crews and spotters used mils to make and communicate adjustments. Ever since they’ve been a standard tool for not only trajectory adjustments but determining the range to targets. Before we get into how to make this work for you in the field, let’s spend a hot second on a simplified definition. Please accept our apologies to mathematicians everywhere. A milliradian provides an angular measurement, or pie slice of a circle if you will. To be specific, a milliradian represents a measure of the distance around the arc of a circle with a radius of one. If you recall your geometry class, the circumference all the way around a circle is two times Pi times the radius, or distance from the center to the edge. Pi is 3.14159265 plus a slew of additional digits. Let’s call 3.14 close enough. So, the whole circle is 6.28 “radians” around the exterior. If you cut a pizza into about six slices, the distance around the crust of each slide would be one radian, give or take. I know this gets weird, so hang on just a bit longer because we’re going to make all this math practical and useful for your shooting activities. What we really care about is the angle represented by that measurement around the outside. Each of those pizza slices has a pointy end in the middle, and that’s the angle represented by a “radian.” If we cut each slice of pizza into 1,000 equal parts, then we have milliradian-sized slices and the pointy-ends represent really small angles. If we made a pizza that was 2,000 yards across where each slice was 1,000 yards from pointy end to crust, then one of those milliradian slices would be exactly 36 inches (one yard) wide at the crust end. In other words, we know that a milliradian translates to 36 inches at 1,000 yards. Since it’s proportional, at just 100 yards, a milliradian represents 1/10th of the 1,000-yard value, or 3.6 inches. So, that’s what a milliradian is. Next, let’s talk about how it’s useful for determining distance. We care about these angles for one simple reason. They’re proportional with distance. Because Junior High School algebra, we can calculate missing bits of information from proportional relationships. Let’s use the simple but not very accurate thumb measurement example to explain the concept. If you stick your thumb out at arm’s length, you know two pieces of information. In my case, my thumb will be about 24 inches in front of my eyeball. I also know that my thumb is about one-inch wide. If I also know that our Somali pirate ship is 800 feet long, I can hold my thumb up to the ship, and based on how “big” it appears relative to my thumb, I can use some proportional math to calculate the distance to the ship. When my thumb covers just one-inch of the ship’s length, I’m right next to it. If the ship is hidden completely behind my thumb, then it’s far away. The concept of using milliradians to calculate distance is the same except that it’s a lot more precise than thumb estimation. Because a milliradian is precisely 36 inches at 1,000 yards, we can develop a simple formula to calculate distance based on how many milliradians tall or wide an object appears to be when viewed through a scope that has a mil-type reticle. This works with minute of angle scopes too, but let’s stick with mils to keep things simple. If your scope has milliradian markings, you can look through it to see how big a distance target it measured in “mils” and use this formula to find the distance to the target. We can easily prove that this works. We know that a single mil is 36 inches (one yard) at 1,000 yards. So, if we stand up a yardstick on the 1,000-yard shooting berm and look at it through a scope, it will appear to be exactly one mil tall. Now, let’s do it for real. Suppose you’re tasked with neutralizing that Somali pirate ship captain because he plans to hijack a boatload of new iPhones. Having researched his bio and the average size of Somali pirate ship captains, you know that he is exactly six feet tall. That’s two yards. As you look at Captain Bad Guy through your mil-dot scope, he appears to be four mils tall. By plugging in the values to the magic ranging formula, you can figure that he’s exactly 500 yards away from your position and adjust your rifle accordingly. While the formula that uses yards for target size is straightforward to remember, it’s often simpler to figure target sizes in terms of inches. It’s exactly the same except that you enter your target size in inches. 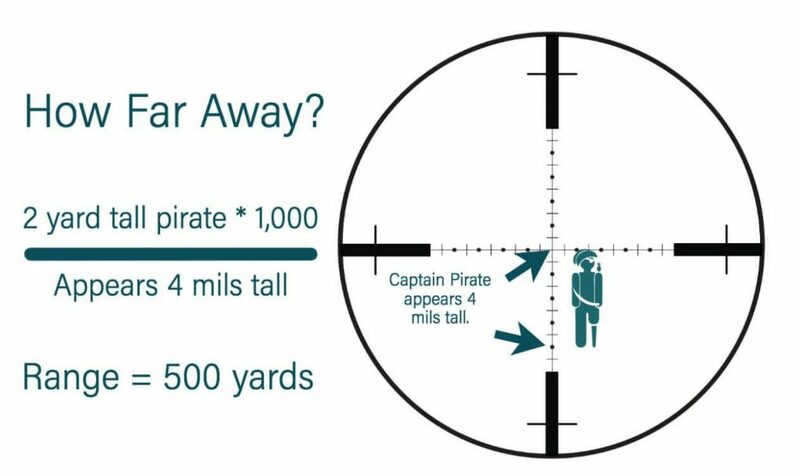 In our pirate captain example, we would use 72 inches as the target size input instead of two yards. Lots of scopes use reticles that have markings in minutes of angle. Fortunately, the concept works identically. The numbers are slightly different because a milliradian value is different than a minute of angle. Here’s the ranging formula for MOA. While it may sound hard because you have to know your target size, the world is filled with all sorts of objects of easily-known size. You can determine how tall the average fence post in your area of operations is. Likewise, you can use average figures for shoulder width, overall body height, vehicle heights, tank tread height, or most anything else that’s in the local environment. If you shoot recreationally or for competition, the dimensions of your paper target or steel plate will fit the bill. By choosing an object of known size near your intended target, you can easily calculate the range without fancy electronic gear. 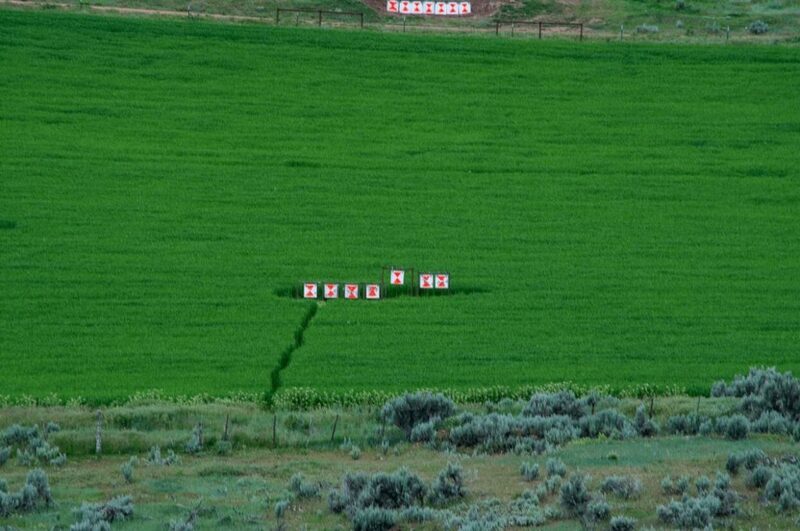 If you’re shooting at targets, it’s relatively easy to determine target height or width to use in the range calculation. For example, these are 24” square steel plates. 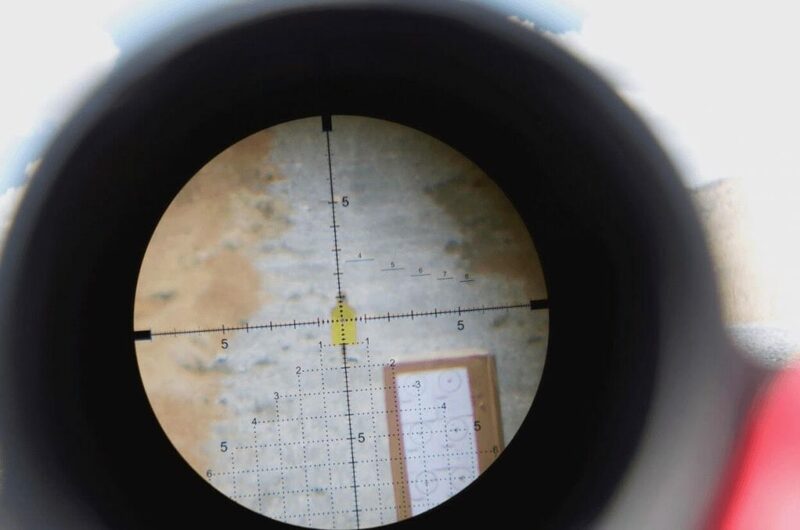 This AMR reticle offers hash marks not only for elevation, wind, and lead holdovers, but marks specifically intended to help complete quick range-estimation calculations in the field. While any reticle that has mil-dot or MOA markings can be used to range, some facilitate far more accuracy than others. 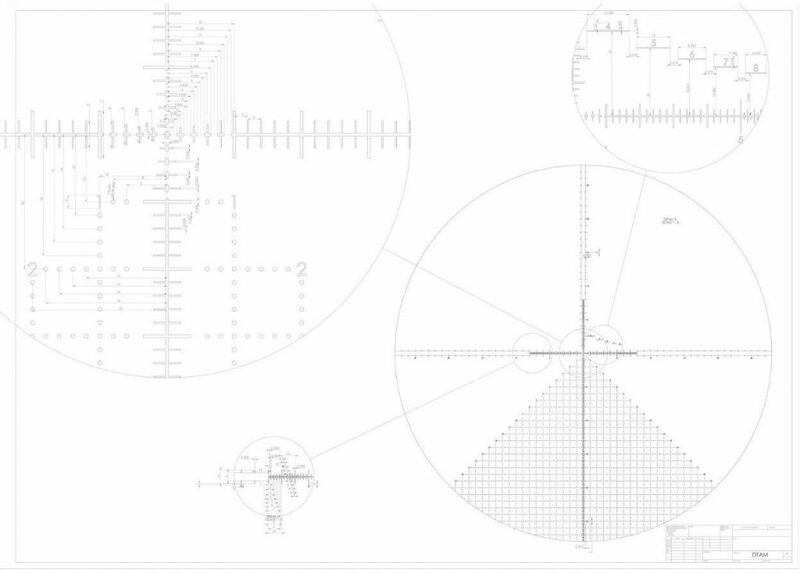 By creating marks for not only “whole” mil values but fractional mil values, reticle designers allow you to use those extra visual aids to refine your estimate of how large an object appears in the reticle. 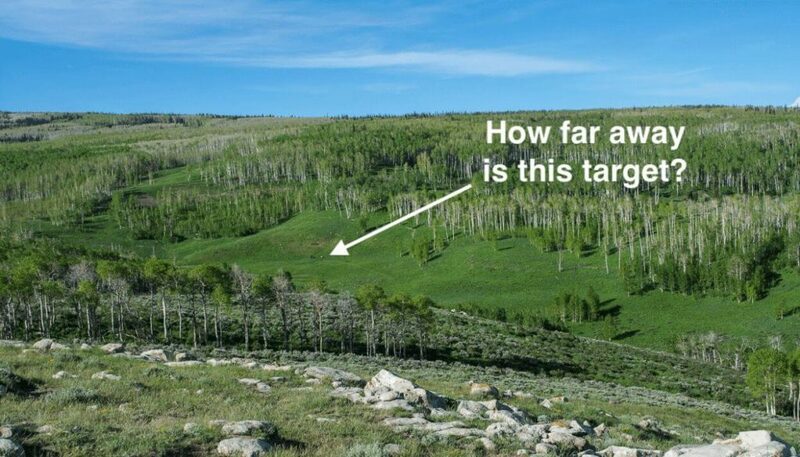 For example, if using a coarse reticle causes you to estimate a target as one mil tall, but it’s really 1.15 mils tall, that will throw off your range calculation by a good margin. Many reticles like the exclusive Desert Tech AMR feature a wide variety of hashmark sizes to facilitate ranging. Nothing is random here; every line and line height has a specific purpose to help the user measure target size in fractions of a milliradian when viewing through the scope. Yes, I know we have laser rangefinders available to us now, but like learning how to drive a manual transmission car, ranging the traditional way is not only kind of fun, it just might come in handy one day. Try it out. Especially if you have a scope not attached to a rifle, you can practice ranging objects around your neighborhood. With a little practice, you’ll be surprised at the accuracy.